Though the 1990’s “It” mini-series scared me as a kid, it also bored me at times as it was a very drawn out film. Well, the latest version of “It” is perfectly packaged with thrills, humor, and a great plot. The remake of the iconic Georgie/sewer scene is enough to pull you in. Though some may argue the movie is not very scary, there’s no doubt that it’s a well-made adaptation with a talented young cast. “Stranger Things” star Finn Wolfhard shows a cruder and hilarious side as Richie. Wolfhard and the rest of his cast-mates make you wish you were a part of “The Losers Club”. Sometimes you just want to see a film for pure entertainment purposes, regardless of it’s generic story-line. Well “The Greatest Showman” hooked me in from the start with its spectacular opening number. From there, I was in for laughter, tears, show-stopping acts, and a toe-tapping original soundtrack. “The Greatest Showman” goes beyond P.T. Barnum’s thirst for success. It also touches on the relevant topics of treating everyone like equals, inter-racial relationships, and embracing your individuality. “The Greatest Showman” is one of the few films that had me balling and in awe at the same time. Side note: I bought the soundtrack immediately after watching the film. Yes, it’s that good. The last two Thor films, were more serious and only had glimmers of Hemsworth’s humor. Well, this time audiences got to see more of a “Guardians of the Galaxy” type of tone. “Thor: Ragnarok” is a light-hearted comedy adventure that is way more fitting for Chris Hemsworth’s comedic chops. The entire cast shines, including a vile Cate Blanchett as the evil Hela and Tessa Thompson plays an incredibly fierce heroine. 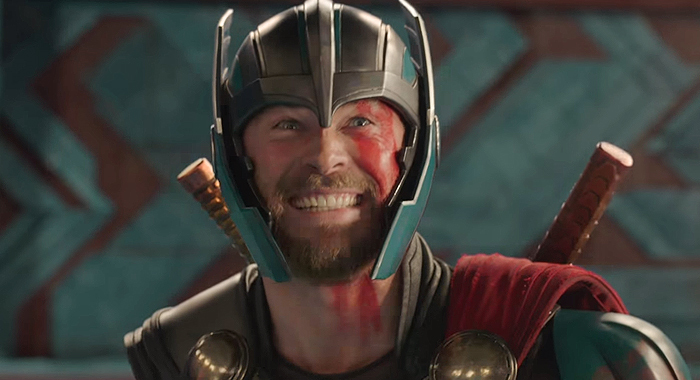 “Thor: Ragnarok” is easily the most entertaining of the three movies, if not the best one. Greta Gerwig’s directorial debut is an endearing coming-of-age story about Christine McPhearson (Saoirse Ronan), who only goes by the name she’s chosen, Lady Bird. She goes through the typical teenage drama of crushes, wanting popularity, college applications, and of course, constant bickers with her family. 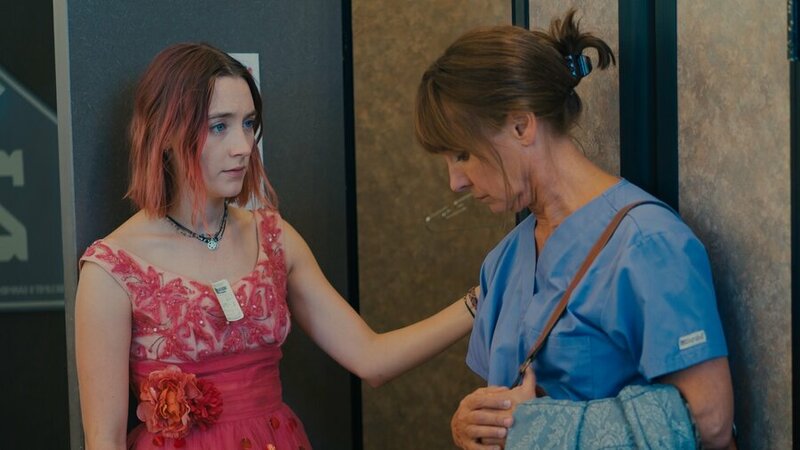 Laurie Metcalf and Saoirse Ronan’s tumultuous mother/daughter relationship is both relatable and heartbreaking. The two give very genuine and raw performances. “Lady Bird” is an excellent portrayal of teenage vulnerability. I remember the attack on Nancy Kerrigan so well. At the time, I thought the incident was shocking and very serious. 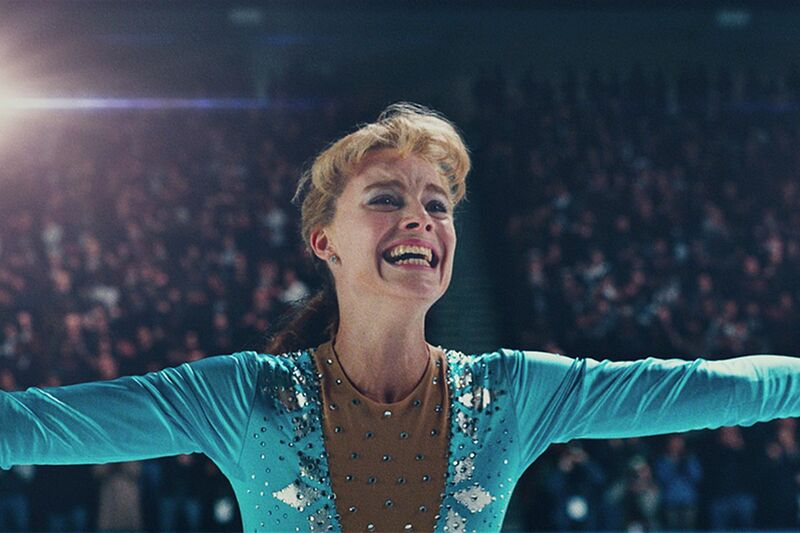 Director Craig Gillespie has decided to take a comedic route in telling the story of Tonya Harding (Margot Robbie) and the infamous attack, and it’s genius! I mean, thinking back, how stupid was the guy that decided to bash the legs of an Olympic skater at the Olympic practice rink, with everyone there!? “I, Tonya” points out all the idiocy in the planned attack and Harding’s less than angelic personal life/ ice-skating career. Margot Robbie and Allison Janney give Oscar worthy performances. And Janney’s portrayal as Harding’s mother is just as haunting as J.K. Simmons’ role in “Whiplash.” There is also heart in this comedy and by the end you truly empathize with Harding and all she’s been through. I, and most “The Room” fans, have been excited about this film since the moment we heard it was going to be made. But I was thrilled when the film exceeded my expectations as a surprisingly touching and hilarious movie. James Franco shines in his best performance yet and has my vote for Best Actor of 2017. He fully immerses himself into the extremely odd, yet sensitive Tommy Wiseau. 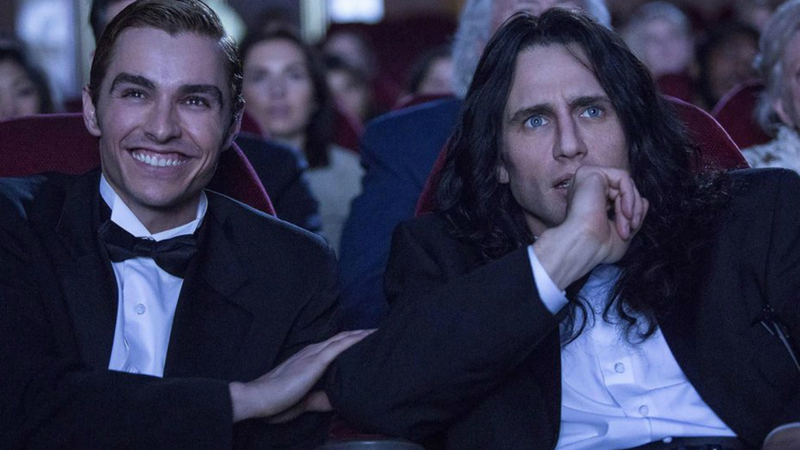 “The Disaster Artist” provides plenty of laughs but underneath the comedy there is an endearing story about a passionate guy who persistently goes after his dreams of being a “real Hollywood star” and you can’t help feel for the poor delusional guy. Most of you are probably wondering what this movie even is. “Raw” is a French mystery, horror about a young vegetarian (Garance Marillier) who eats raw meat as part of a college hazing ritual and develops a taste for it, and humans in particular. The film has it’s gruesome scenes, but is so captivating and unique that you’re kept on edge until the very end. 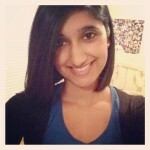 It’s best to not give too much away, just watch! “Raw” is an exciting and unforgettable movie. The DC Extended Universe has been struggling for a while now with its past few films, but thank God for “Wonder Woman”! It is the best film of its franchise! There’s a proper balance between the film’s humor and serious tone. AND a huge round of applause is in order for finally having a central focus that prevents the audience’s heads from spinning in confusion half way through the movie. You empathize with Wonder Woman when she’s in pain, while also getting pumped when she’s beating down a villain. The film is great as whole, but it’s the casting that makes this movie a knockout. 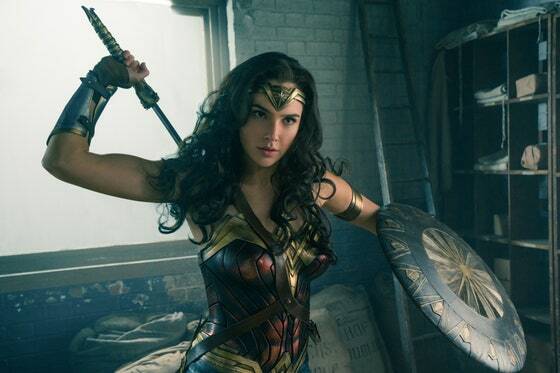 Chris Pine charms as Steve Trevor, and Gal Gadot was born to play Wonder Woman. It is a thrilling and inspiring superhero movie. Every once in a while a horror flick comes along that not only scares, but also includes plenty of laughs along the way. In the past few years, films like “The Visit” and “The Guest” have provided this full package. 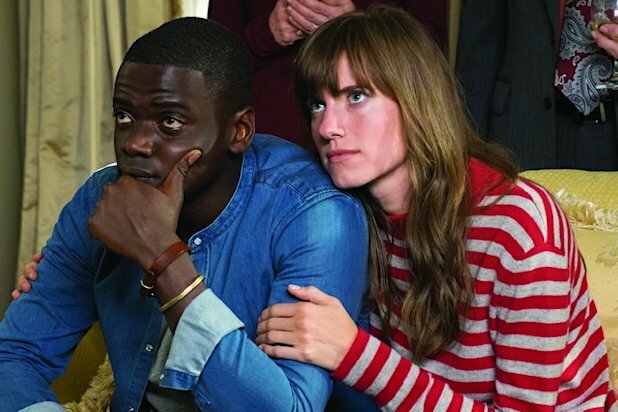 And comedian Jordan Peele (“Key and Peele”) captured this rarity again, and presented us with the gift of his directorial debut, “Get Out”. Peele’s script is sharp, witty, and terrifying. There are subtle Hitchcock-like notes in his story telling, and the cast only furthers the film with their well-rounded performances. I could go on forever talking about how much I love this film, but I’ll try to keep it brief. For a while now, people have been saying the romantic comedy is a dying genre. Thankfully, “The Big Sick” has officially revived rom-coms! Based on the real-life romance of Kumail Nanjiani and his wife, Emily V. Gordon, “The Big Sick” tells the story of Pakistan-born comedian and grad student who fall in love, but struggle as their cultures clash. When Emily contracts a mysterious illness and is put into a coma, Kumail gets to know her feisty parents (Holly Hunter and Ray Romano) and discovers his true feelings for Emily. “The Big Sick” is an unconventional love story with a lot of layers. It’s a film I’ve watched repeatedly this year. 5. Landline- Lots of cheating that made no sense. 4. Rings- The first film is gold, everything else after should be nonexistent. 3. Valerian and the City of a Thousand Planets- Pretty movie, horrible script! 2. Snatched- I’m sorry this was Goldie Hawn’s comeback film? 1. Transformers: The Last Knight- A lot of loud crap. STOP making these!! !